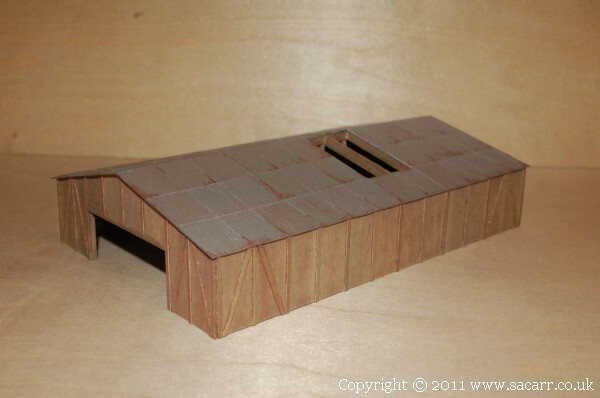 The warehouse is another 1/32 ply structure. The ply was used for its surface texture, but glued to 1/16 balsa to stiffen up the sides. 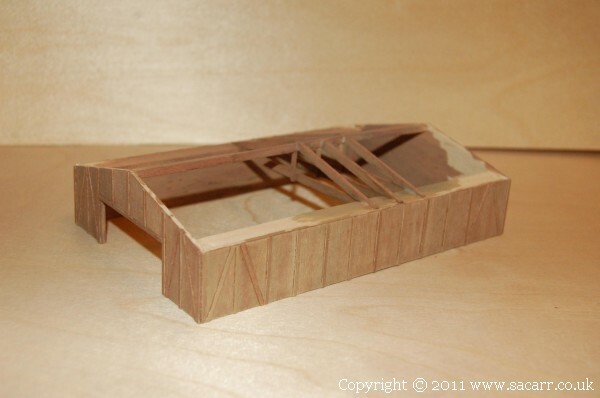 The roof trusses are made from strip balsa wood, stained with a mixture of brown paint and thinners. 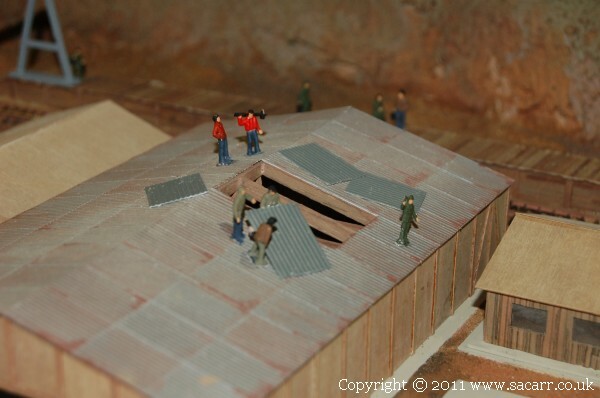 A hole in the roof is being repaired by workmen replacing several sheets of corrugated iron damaged in a recent storm.